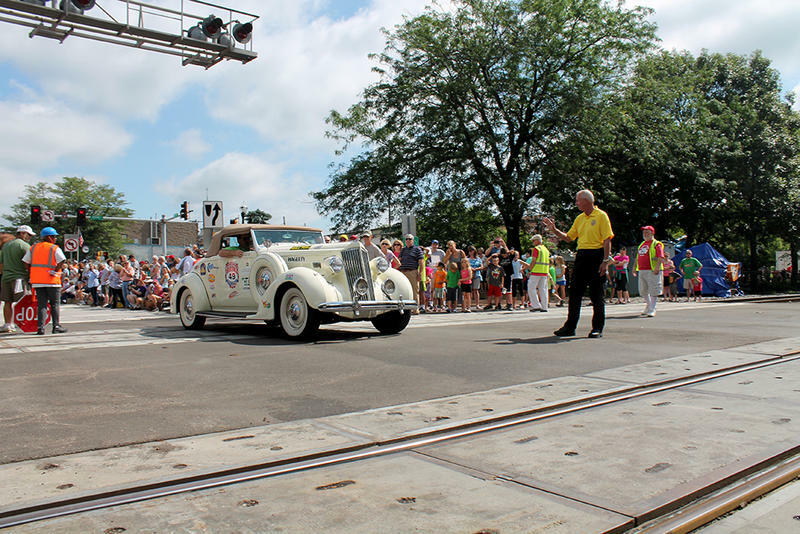 A 1941 Packard 120 Convertible starts the Great Race in Kirkwood, Mo. Saturday, June 20, 2015. A 1936 Packard 120B Convertible Coupe crosses the train tracks in Kirkwood, Mo. on Saturday, June 20, 2015 for the start of an eight-day classic car race along Route 66. Volunteers kept an eye out to keep spectators off the tracks. 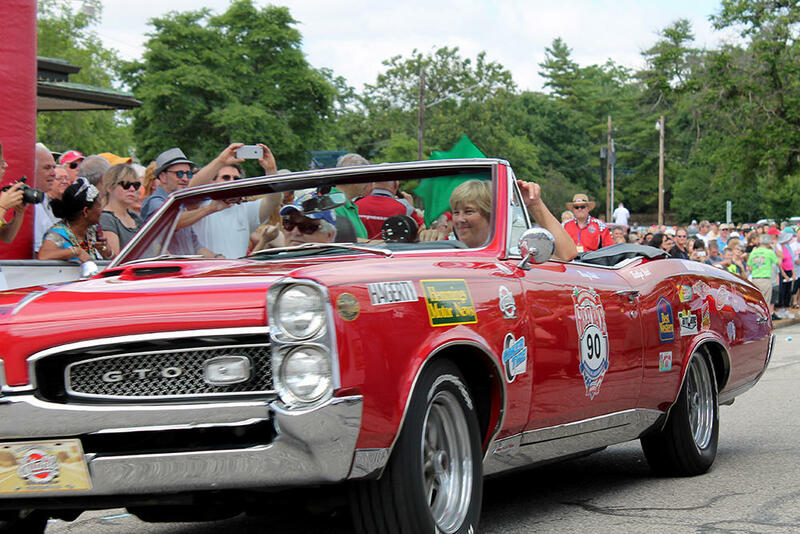 A 1967 Pontiac GTO begins it's eight-day journey along Route 66 in Kirkwood, Mo. on Saturday, June 20, 2015. Cars competing in the Great Race line up in Kirkwood, Mo. on Saturday, June 20, 2015. 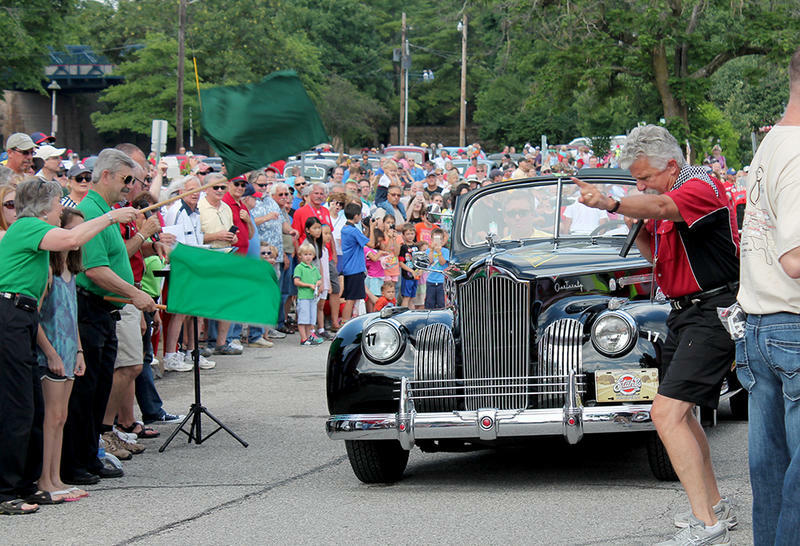 Hundreds of people lined the streets of downtown Kirkwood Saturday to see 130 classic cars start an eight-day, 2,400 mile journey along Route 66. 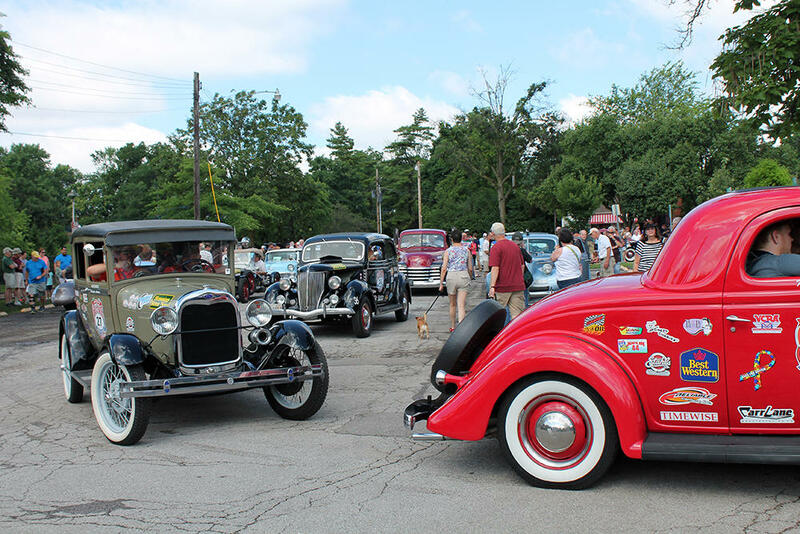 The cars — and their drivers — are competing in the 33rd annual Great Race, a competition judged on arriving at set checkpoints at pre-ordained times. 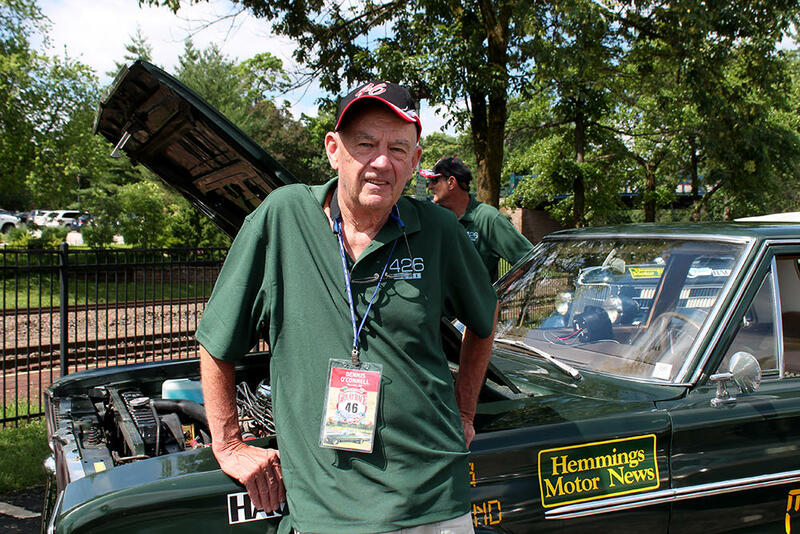 The Grand Champion will be awarded $50,000 after they cross the finish line in Santa Monica, Calif.
Dennis O'Connell stands in front of the 1966 Dodge Coronet he and his brother-in-law are driving to Santa Monica, Calif. to compete in the Great Race on Saturday, June 20, 2015. The car’s big Hemi engine takes up most of the space under its dark green hood, but this race is more about accuracy than speed. To make the competition fair, cars are weighted according to age, and competitors are placed in different divisions based on experience. The oldest car in this year’s race is a 1915 Hudson 6-40. The cut-off year for participation in the race was 1972. 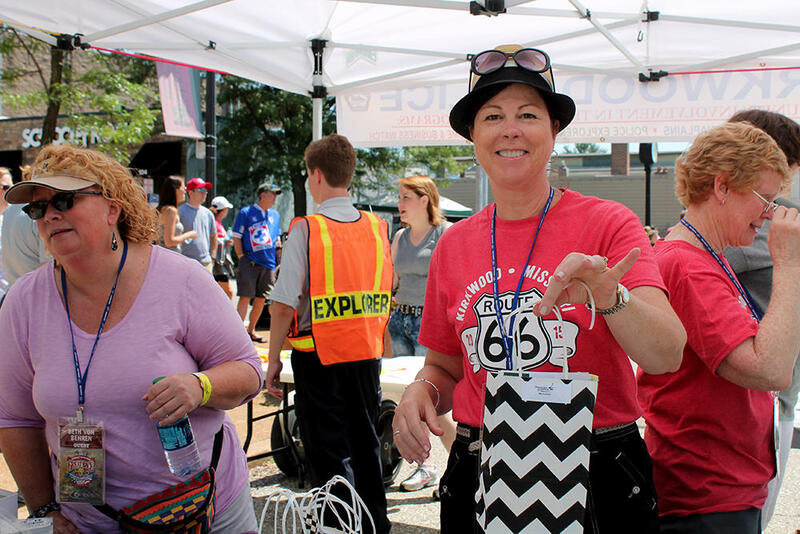 Donna Poe of the Downtown Kirkwood Special Business District spent the Route 66 festival handing out grab bags about the town on Saturday, June 20, 2015. This is the first time Kirkwood has hosted the start of the race, an honor sought by the Downtown Kirkwood Special Business District. “We thought that it was a good fit for downtown Kirkwood, especially the Main Street kind of Route 66 theme. And we thought it would be a good opportunity to showcase downtown Kirkwood and all the businesses we have here,” said Donna Poe, executive director of the special business district. Poe said she couldn’t pinpoint a dollar amount for the economic impact of the event, but that 400 people had been in town for the Great Race for three days. The open road. Curving, meandering highways. Roadside diners and trips to remember yesteryear. 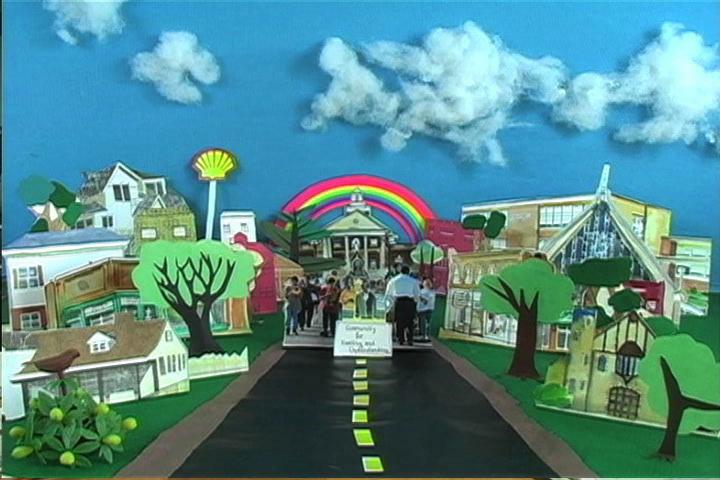 These are the types of images most often associated with Route 66. 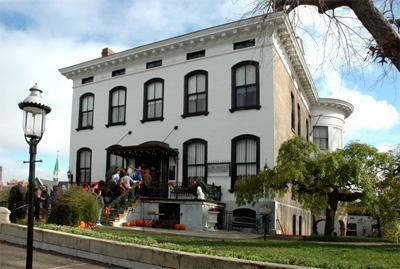 But in addition to tourists and explorers, some unsavory characters have lived and traveled along the roads that became Missouri's Route 66. Author Lisa Livingston-Martin tells their stories in her new book, Missouri's Wicked Route 66: Outlaws and Gangsters on the Mother Road. Film Takes New Look At The 2008 Kirkwood City Hall Shooting; Has The Culture Changed? Fair Saint Louis Foundation and the city of St. Louis announced Wednesday that Fair St. Louis 2015 would be returning to Forest Park. The fair was held in the same location this year. New General Chairman Steve Pozaric hopes to top this year’s estimated attendance of 250,000 people. He attributes the draw to the fair’s rich history. After losing events like Taste of St. Louis, RibFest and Bluesweek to the suburbs, St. Louis will play host to the inaugural “Q in the Lou” barbeque festival this fall. “‘Q in the Lou’ will be our autumn block party, and it marks St. Louis as the third point of what St. Louis barbeque legend Mike Emerson has dubbed the ‘Barbeque Triangle’ along with Memphis and Kansas City,” St. Louis Mayor Francis Slay said at a press conference in City Hall on Friday.